Google has reason to celebrate. Today, Google announced via their Android blog that they have reached a new milestone – over 25 billion apps have been downloaded from Google Play, the source for Android apps. The Google Play store, which also boasts movies, music and books, is celebrating this accomplishment in style. 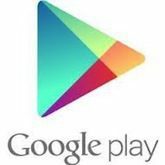 Google stated on their blog that, along with the milestone, they will be offering steep discounts on a number of apps from popular developers over the next five days. Discounted titles from top-selling companies like Electronic Arts, Rovio, Full Fat, Gameloft and Runtastic will be available for just $0.25. In addition, Google will offer specially curated collections within Google Play, including 25 banned books, 25 albums that changed the world, and more. In addition to the news about the number of downloads, Google released some other interesting information. Google Play is now home to 675,000 apps, an ever increasing number. It doesn’t quite match Apple yet, with 700,000 titles in their App Store, but it remains to be seen whether or not Google will overtake Apple at some point in the near future.